John loading scoops of regrind at the Plant Center. Lancaster Farms regrind is a blend of everything we put into our plants, including the plant! 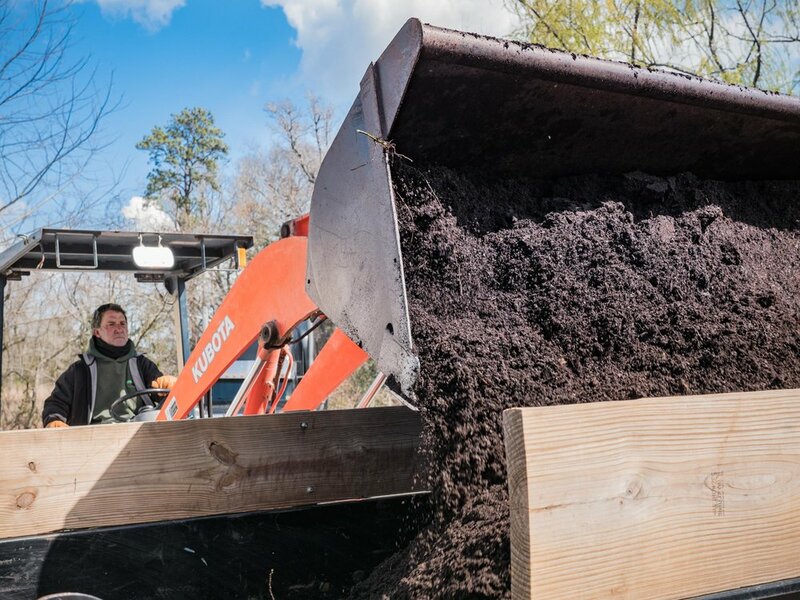 Our regrind is compost-like and provides optimal growing conditions for high-performing landscape plants. Use our regrind for soil amendment and when you find yourself dealing with heavy clay, the regrind will provide the ideal environment for strengthening the roots of fresh-installed plants. Need to find out how much you need for your upcoming jobs? Click the link below to estimate your projects.